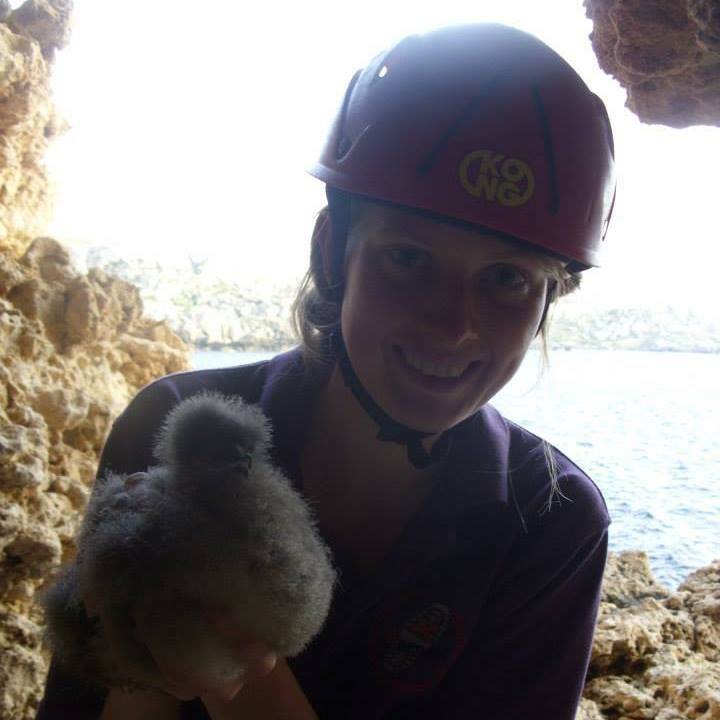 Last month I was lucky enough to visit Comino for the first time since arriving in Malta to help with the Malta Seabird Project. Comino is a small island situated between Malta and Gozo and is the smallest of the three islands. I had been told that the aim of the trip was to check some of the known Yelkouan Shearwater nests for chicks, and to ring them if they were big enough- part of the long term monitoring of the species. To say that I was excited would have been an understatement, I had only seen my first Yelkouan chick a few days previous and I had never been to Comino. Soon as we landed on Comino, it was noticeably quieter than mainland Malta and also relatively untouched in comparison. There are only a few buildings on Comino. One of the largest structures on the island is what used to be an intensive pig farm. Built in the 1970’s after an outbreak of African swine fever, which had wiped out the entire Maltese pig population, it has now fallen into state of abandonment. 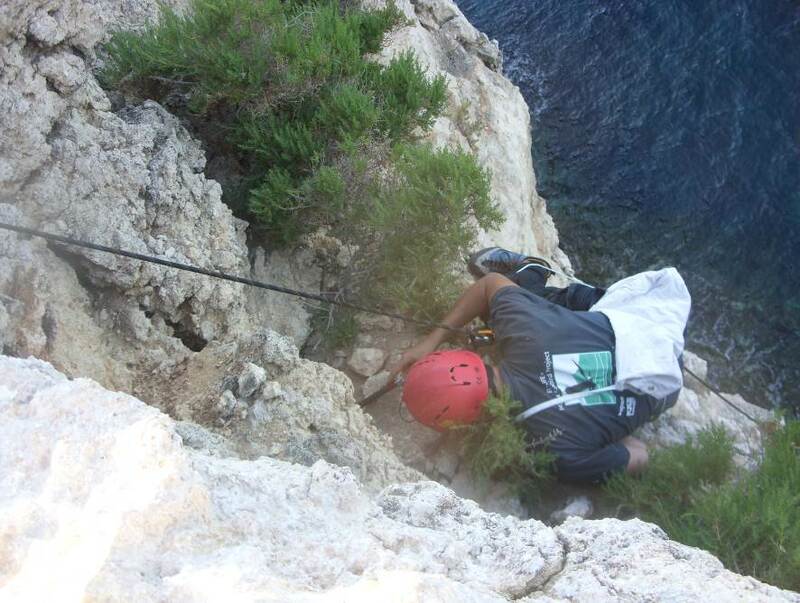 It was only a quick visit as Ben (the head of seabird research) wanted to check a couple of Blue Rock Thrush nests. Despite not being a seabird, the Blue Rock Thrush is a popular species in Malta and was made the national bird of country in the 1970’s. Just one of the Pig farm buildings. Now abandoned. Photo: N. Cox. Later on that afternoon we headed to the first location where some of the Yelkouan Shearwaters are nesting. From here, two chicks roughly the same age were carefully removed from their burrows and passed up to us on the cliff top. 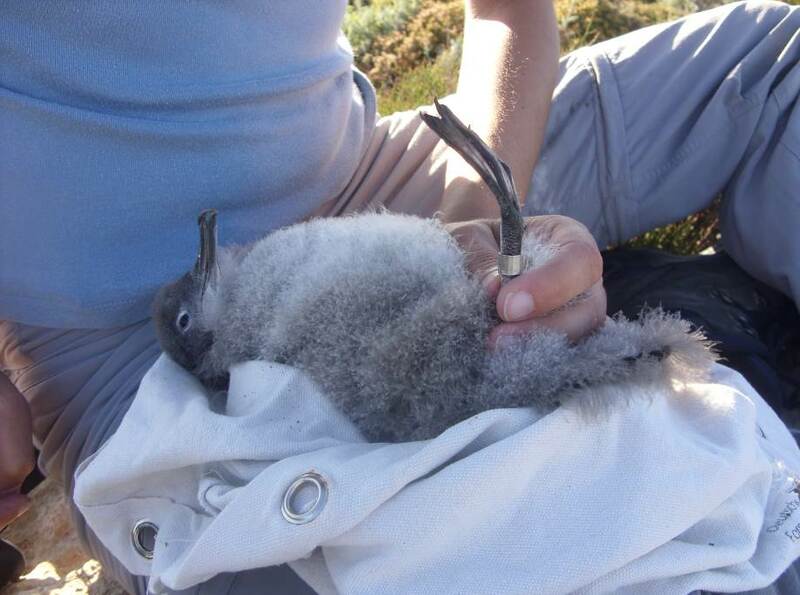 Both of the chicks were old enough to be ringed (more information on seabird ringing here). In these brief moments I was lucky enough to get a good view of such a vulnerable seabird. These chicks are covered in a mass of light grey fluff down. Here in Malta the estimated population for Yelkouan’s stands around 1,600 – 1,800 pairs, 10% of the global population! Getting the chicks from their burrows. Photo: N. Cox. Some of the main threats to these seabirds are predation from rats, light pollution and accidental bycatch by fisheries. 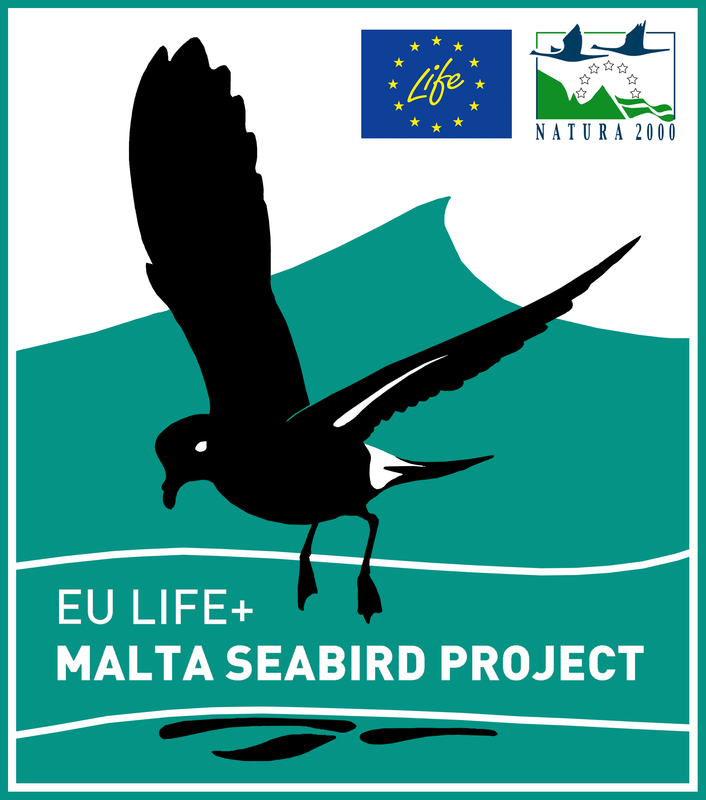 Predation of chicks and eggs from rats has been widely reported in many seabirds, and the seabirds here on the Maltese islands are no exception! 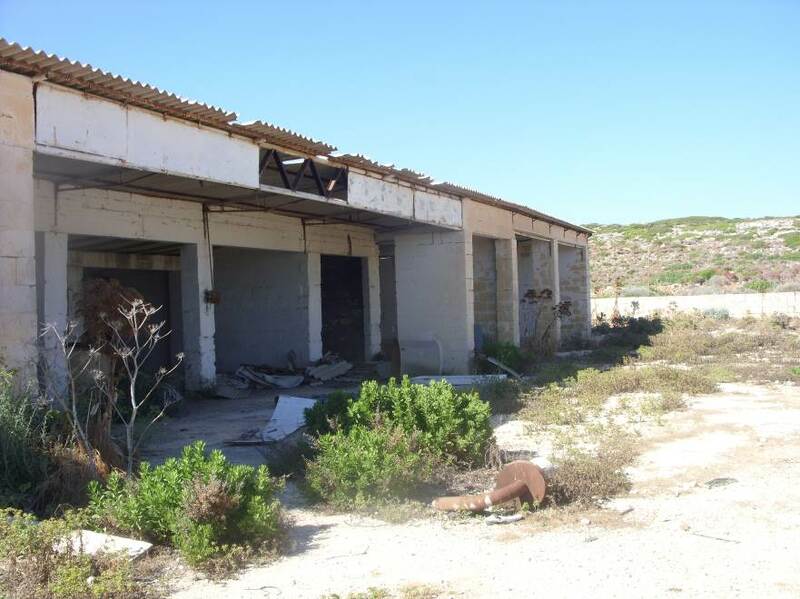 It is uncertain when the rats colonised Comino but the development of the pig farm in the 1970’s may have been a factor in allowing the rat population to boom and spread across the tiny island. It could also be noted that the increase in humans visiting the island (and the subsequent waste produced) has resulted in a large rat presence on the island. I had yet to see the well-known Blue Lagoon, but I had been told that during the day it was packed with tourists and at night, supposedly with rats! So, after the sun had set, we made our way to Blue Lagoon to try and get some footage of the rat activity in the area that highlights the impacts that increased level of human activity (and waste) could be having on Comino, but also on the nearby Cominotto. 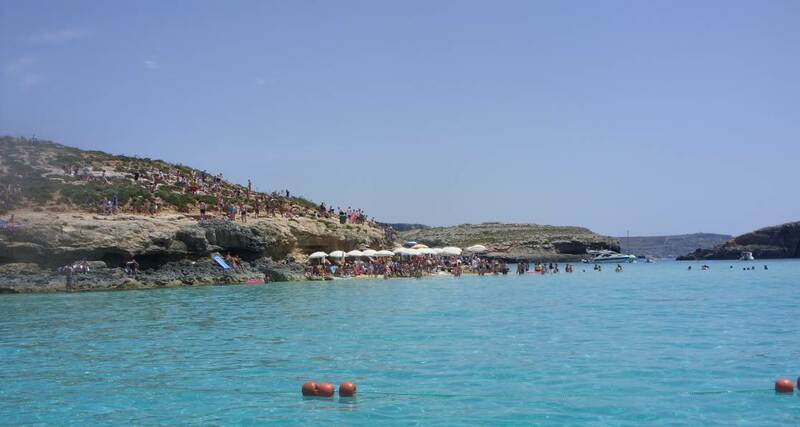 This tiny island is just a short swim from Comino (across the Blue Lagoon) and can be easily accessed by both humans and rats but is home to Yelkouan Shearwaters, too. It was only on the way back to Malta that I saw Blue Lagoon in daylight and packed with tourists! Upon arrival, Blue Lagoon was smaller than I initially imagined- and more rock than sand. The next thing that hit me was the smell coming from the rubbish bins, which were overflowing! So it didn’t surprise me that there were potentially a lot of rats here. It was only a matter of minutes before we saw the first individual scurrying around in the vegetation close to some bins. Ben and Steven (one of the EVS interns who also came to highlight the issue regarding rats upon the island) then decided on the best place to setup the equipment in order to get evidence of the activity. Then it was just a matter of a waiting game! – And for Steven, it was a 4 day stretch to get enough footage (read his blog about it here). Keep an eye out here for further updates on how things turned out. The following morning, we checked a few more Yelkouan Shearwater nest sites before catching the boat back. These nests also contained chicks, one of which was too deep inside its burrow to reach. On our way back to Malta the boat made a stop at Blue Lagoon, Comino. Photo by N.Cox.